I t’s official, NY regulators have cleaned their hands from Daily Fantasy Sports (DFS). 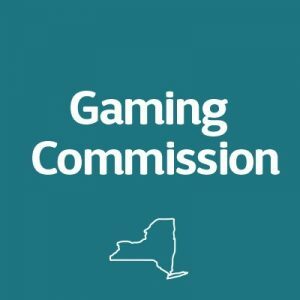 According to sources, the NY Gaming Commission (NYGC) said, “They no longer have a role in regulating DFS.” Furthermore, the NYGC has since then modified its website. In fact, as of now, there is no mention of DFS on their webpage what so ever. So with that said, let’s dig in a little deeper and find out what prompted NY regulators to wash DFS of their hands. Last month an NY judge ruled that the “skilled game” was in fact not a skilled game, yet rather a game of chance. The judge mentioned that the Supreme court exceeded its authority in 2016. The judge even went on by claiming that the state should have amended the constitution. Instead of bluntly changing the status of DFS to make it legal. So, because of this, DraftKings and FanDuel (Betfair) are now rogue operators in NY. Which is somewhat ironic considering that both operators’ do gambling business legally in NJ. However, it’s worth pointing out that both businesses will not face criminal prosecution. And this is because the companies were in line with the 2016 ruling until now. To sum up, the state has until December 2nd, to file an appeal to the ruling. And yet we’ve heard nothing as such. But undoubtedly, we will in the coming days or weeks. Or perhaps the story will unfold when or if, New York gives a thumb up to sports betting. Anyhow, let’s be frank. If DFS doesn’t get a green light in NY. We’ll lightly see even more New Yorkers in town over the weekends to come and play DFS legally in our state. And of course, this will contribute towards further increasing the garden state coffers!